Thursday before last my Mother-in-Law suffered a stroke. It feels very strange to say this out loud, as the whole experience still feels unreal and dreamlike. She is not yet 55 years old, a fun and kind woman who will bend over backwards to help her fellow man and will fight like a tiger to protect her family. 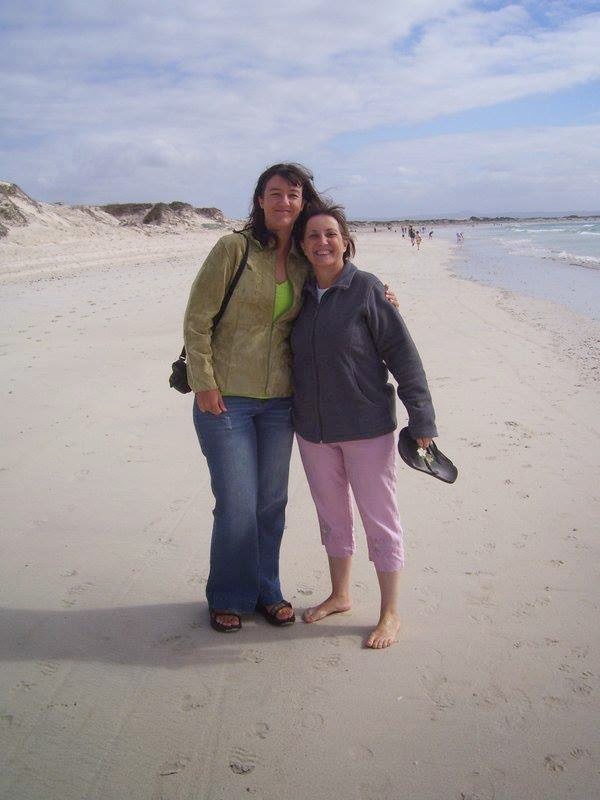 When I met my husband 11 years ago she immediately took me under her wings and welcomed me as part of the family. She's been my mom since then. The day we found out that we were pregnant we called her and when I spoke to her we just cried in each other's ears, too overcome by joy to actually get any words out. And now is seems like being a strong, hardworking woman who everybody depends on has taken a toll on her body. We flew to Johannesburg last Saturday and visited her at the hospital. She spoke to us, but with great difficulty. As far as the doctors can tell there is no permanent damage to the brain, which we are very grateful for. She does not have feeling in her right arm and leg yet, and we can but hope and pray that this will be overcome in the next couple of months. While up there we also took a journey and spend a night at my Mom's. She is also going through a tough time at the moment as my step-dad is currently being treated for cancer. You see, again that dreamlike quality - strokes, cancer... this is all things that happen to other people's families. Yesterday was a strange day for me, accompanied by a conundrum of emotions. For years I longed to also celebrate Mother's Day - as a Mother, and not just as the child of a Mother. 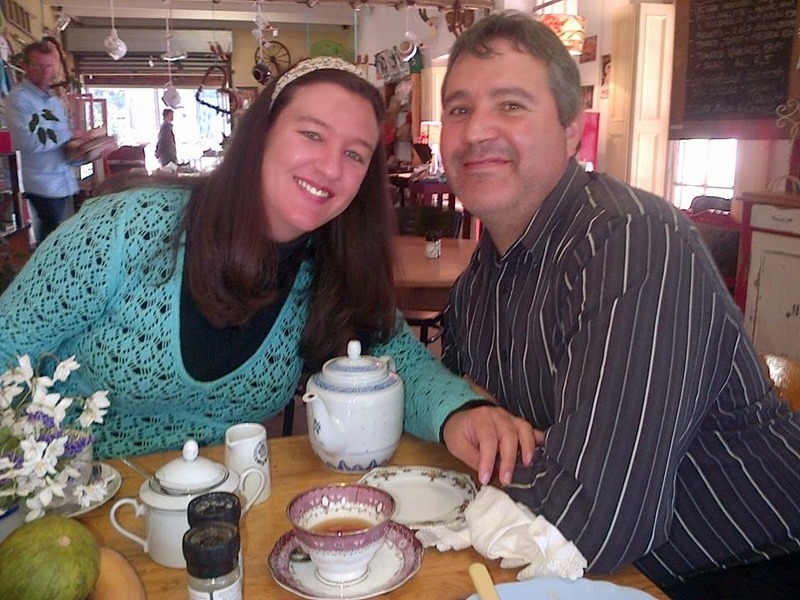 Hubby took me out for breakfast at The Red Windmill where we had a lovely time engulfed by the warmth from the fireplace as well as the warm-heartedness of the people and the great atmosphere. We then did some shopping and I got to buy very cute baby things for a friend who's stork party is at the end of the month. Her baby boy is due middle of July and we are very excited for them, also first-time parents. The rest of the day was spend lazying around the house. I did receive a special gift from our little girl. Thus far I did not feel a lot of movement yet. Mostly a bubbly sensation or I could feel discomfort when she kicked my bladder. With the last sonar the doctor checked and as the placenta is nice and comfy she said that it is the reason why I do not feel any pronounced movement yet, as baba's kicks is cushioned by it. But yesterday, after waking up and lying in bed I could feel her move about. I placed my hand on my tummy and could actually feel the movement. And then last night when I was "playing turtle" (taking a bath, my tummy looking like a turtle shell protruding out of the water), she moved again and I could actually see my tummy bouncing. It was amazing, made me laugh and also cry a little bit. Happy Mother's Day to me - and to all you Mothers out there. Last night it started raining and in the early morning hours we had quite a storm. Luckily is was not too bad this morning when we got up and drove to Hermanus. We did have about 8 different weather patterns on the drive there so it made for an interesting day. We have now turned our "scan" days into a lovely routine where we drive through early and find a nice spot for breakfast before heading off to the doctor's office. 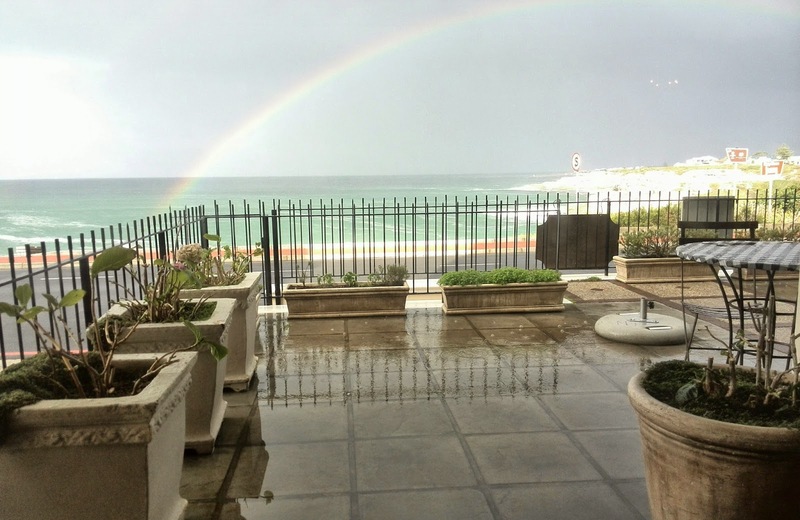 This morning we chose Just Pure and had a stunning view on the crashing waves and rainbows over the ocean (from inside the cozy bistro of coarse). At the doctor we spend quite a bit of time staring at our little daughter. This time we did make sure that we are indeed having a girl. The doc measured her and she is just about 30cm from head to toe - amazing! She weighs about 611 grams at this stage and the doc predicted about 3.4kg at birth which will be a nice sized baby. She is lying with her head on top, her bum in the air and her feet trampling my bladder :-) So in the next couple of weeks we will be waiting for her to turn, but at the moment she looks quite comfortable. 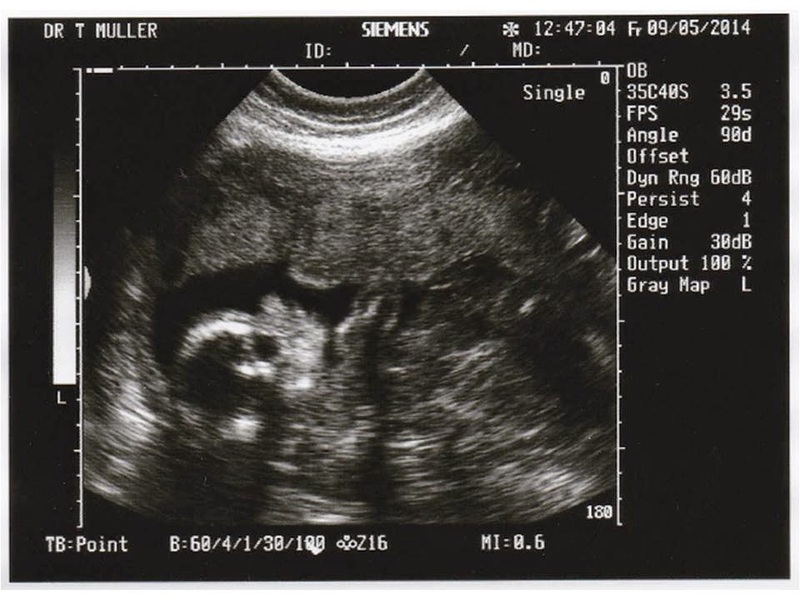 We could see her little nose and lips, her feet kicking and her arms folded across her chest and then above her head. Amazing what technology offers us. So all and all our little one is healthy and happy and must now just grow a bit bigger in order to brave this world of ours. 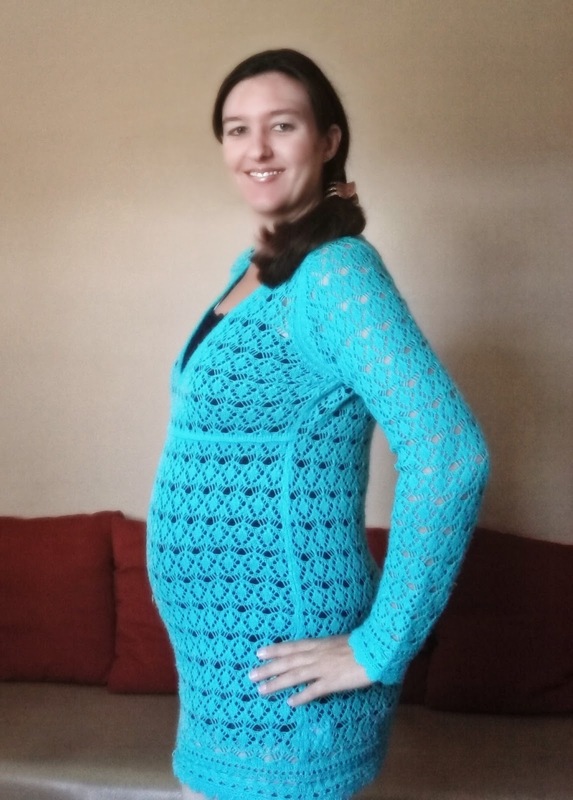 On Monday when I got my weekly pregnancy newsletter I was a little shocked. It said: "You're 22 weeks pregnant - 18 weeks to go!" Like whaaaattt?? 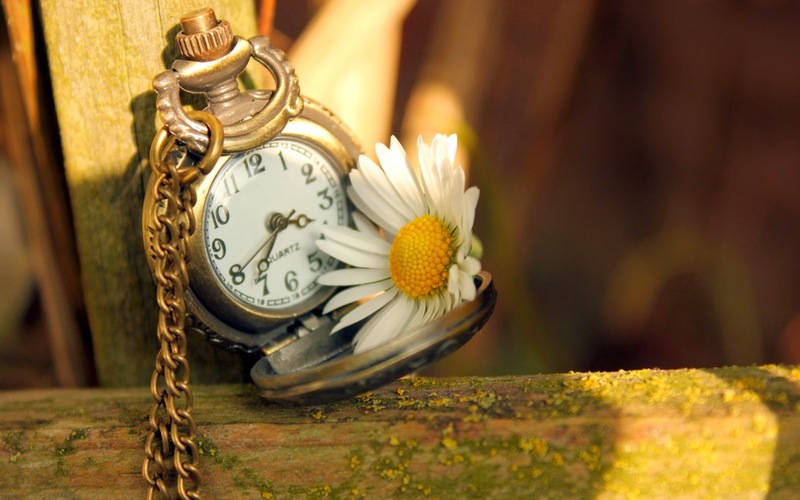 How is it that the time just slipped by like that? We've passed the halfway mark and are on the downhill towards delivery. Don't get me wrong, I am super excited and cannot wait until we can hold this little girl in our arms, but I'm also enjoying being pregnant and having her safe and close under my heart. And of course there is still a lot to do before welcoming this little madam into our world. But we are taking it one day at a time and doing what we can. We'll be off to Hermanus for a sonar again tomorrow, so it is something to look forward to - having a peek at our precious one once again.